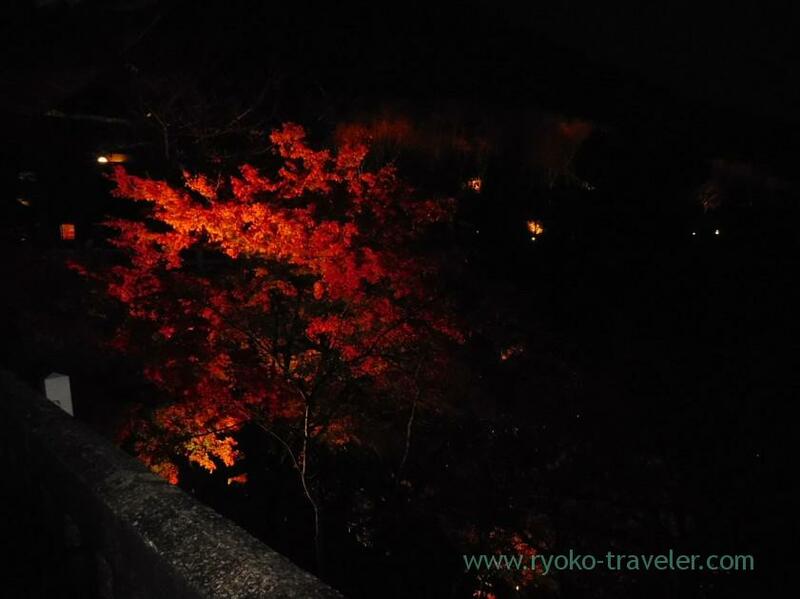 When I visited Kyoto, I saw light-up Autumn leaves at two temples. 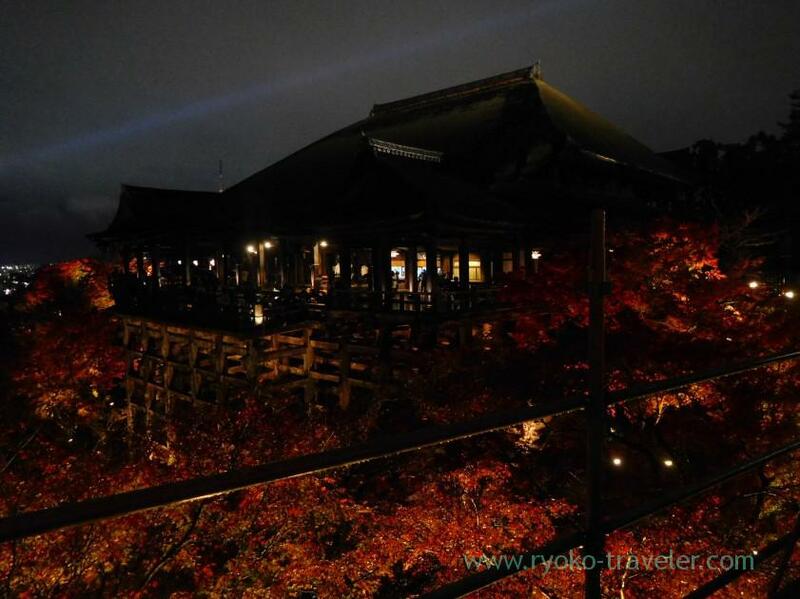 One was Tenjyuan temple that was posted the other day and another was Kiyomizu temple. 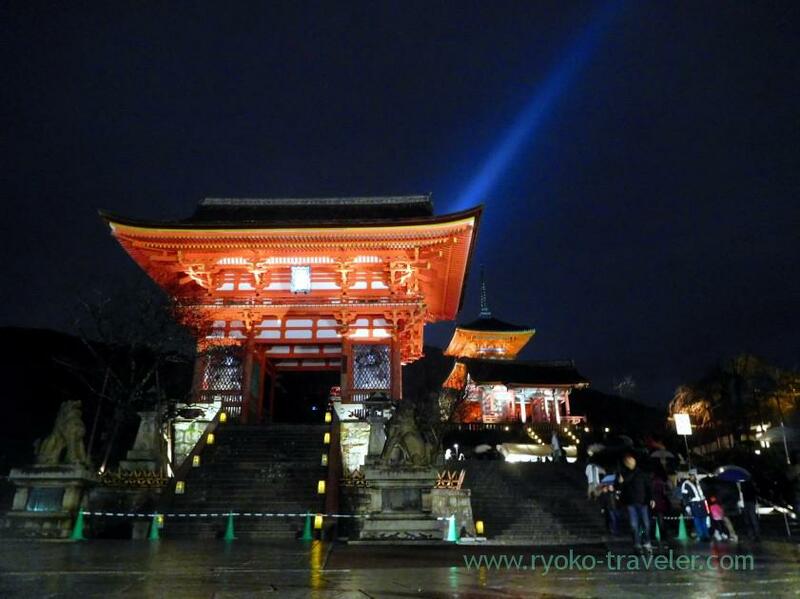 Kiyomizu temple is, almost all people who visit Kyoto for the first time might visit there. It is so popular viewing spot. 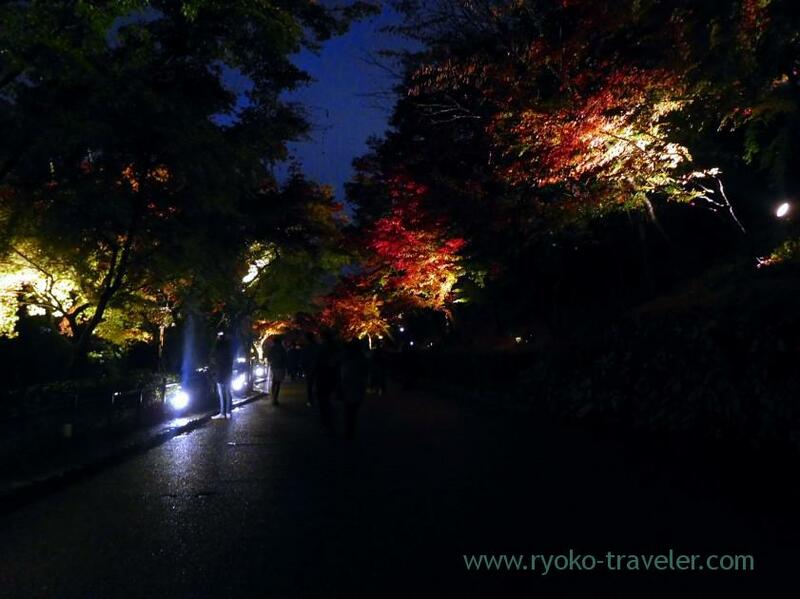 So, there are always tremendous number of people from 6 a.m. from around 6:00 p.m.
And more, it was around best season of Autumn leaves when I visited there. 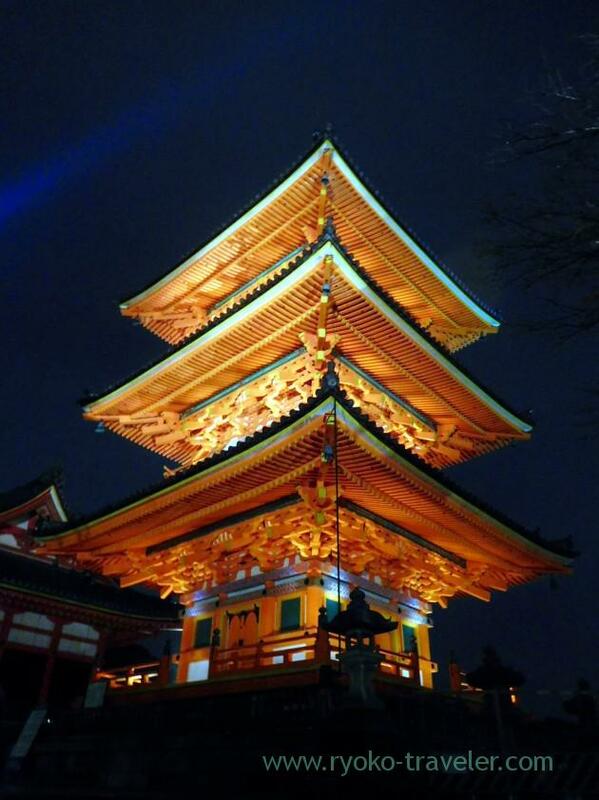 I was really anxious about busy temple. 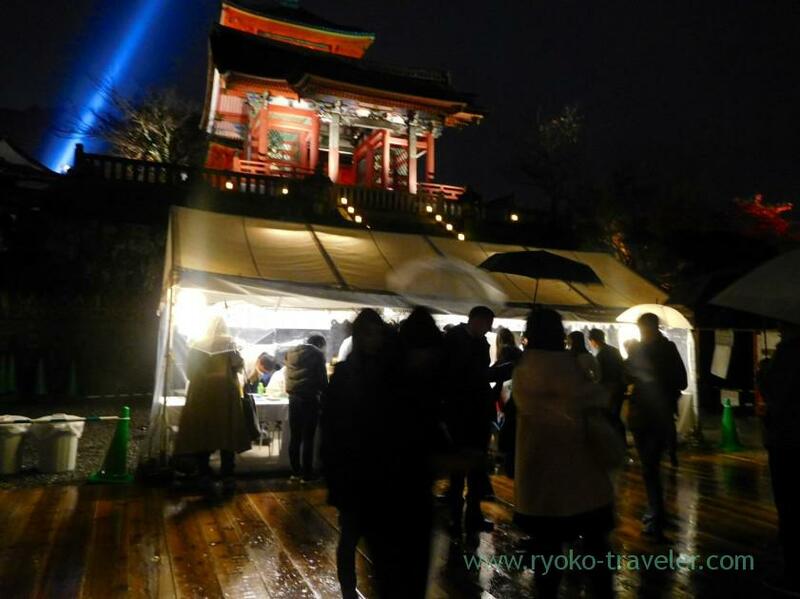 But fortunately, because of rainfall throughout the weekend, there wasn’t packed. Of course,there were lots of people, but I could see and take photoes of beautiful sight with ease. 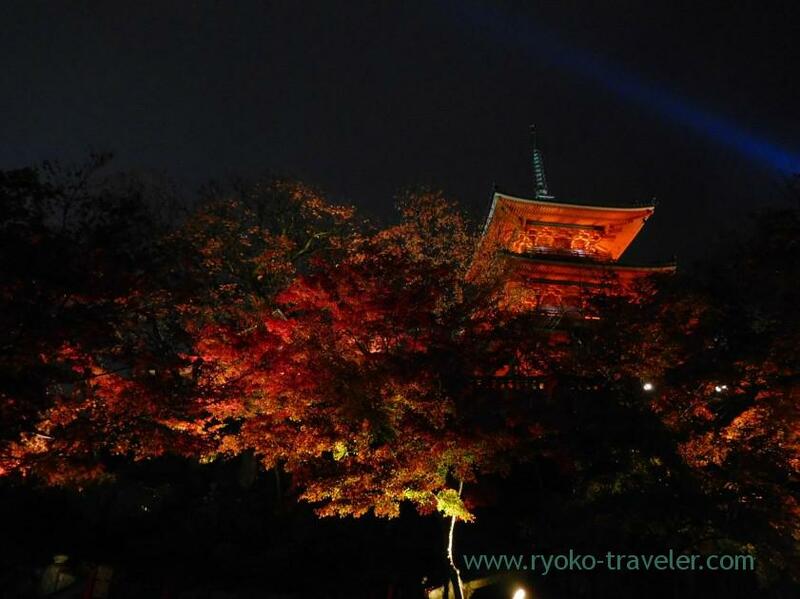 Light-up Autumn leaves show is held at Kiyomizu temple in November in special. It is held every year. 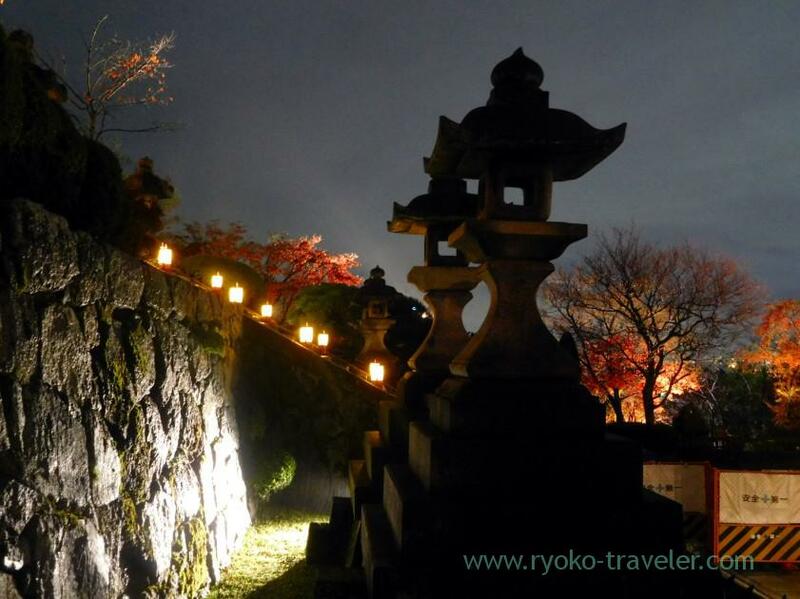 It is easy to go by bus from anywhere in Kyoto. 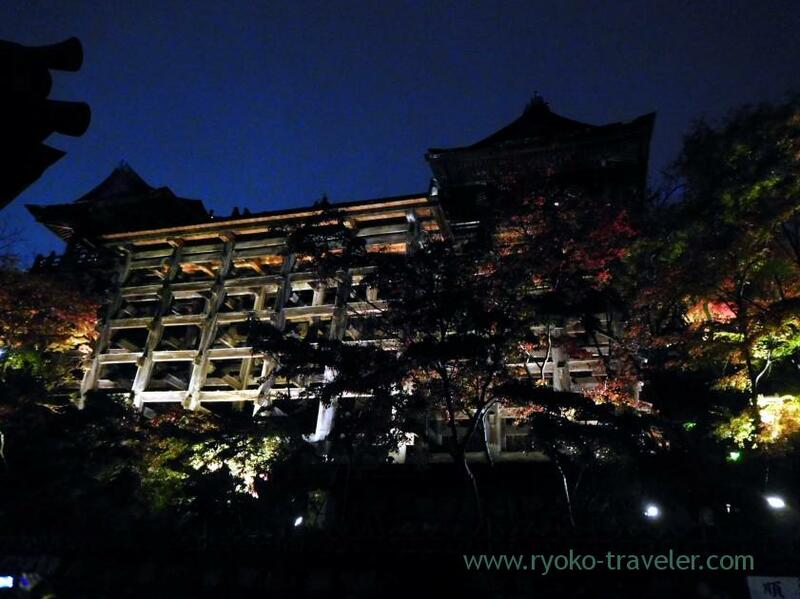 “Kiyomizu-michi (清水道)” is the closest bus stop to Kiyomizu temple. 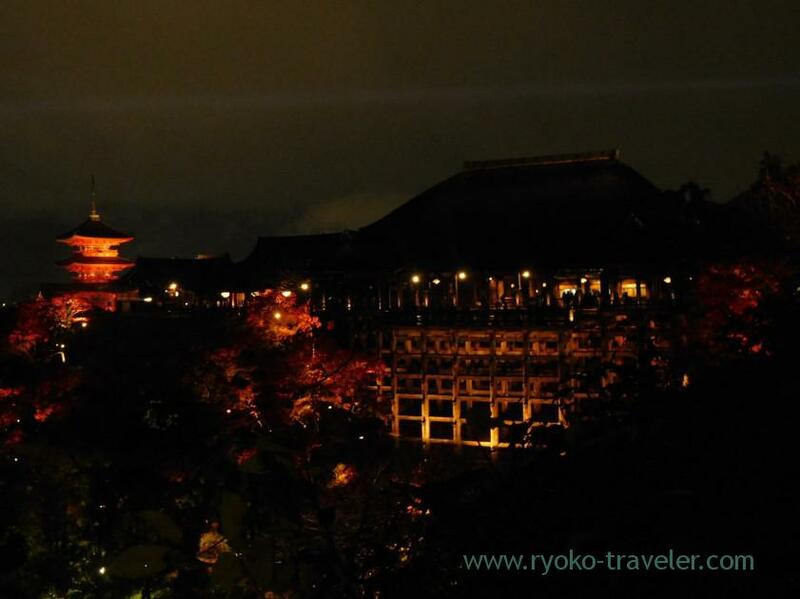 Kiyomizu temple in the dark. Temporary Ticket office. It’s for special nights. 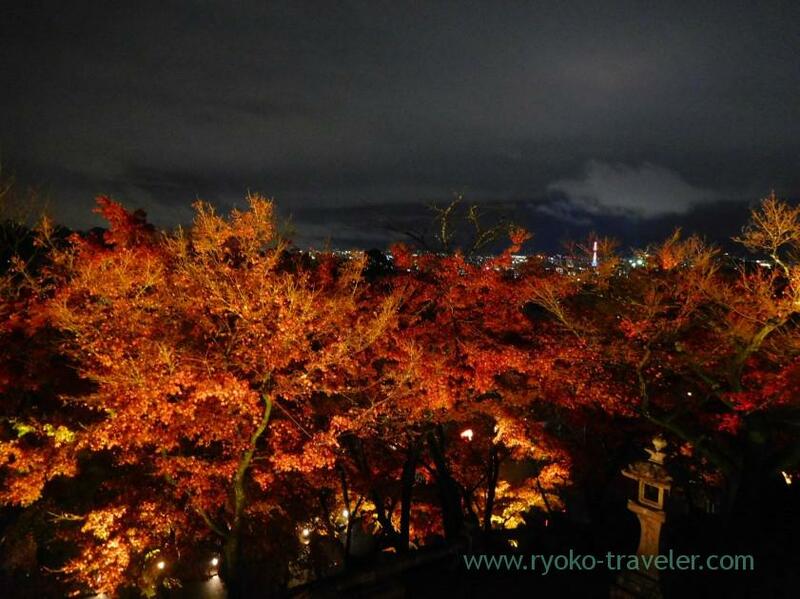 View from Kiyomizu stage (Kiyomizu-no-butai). 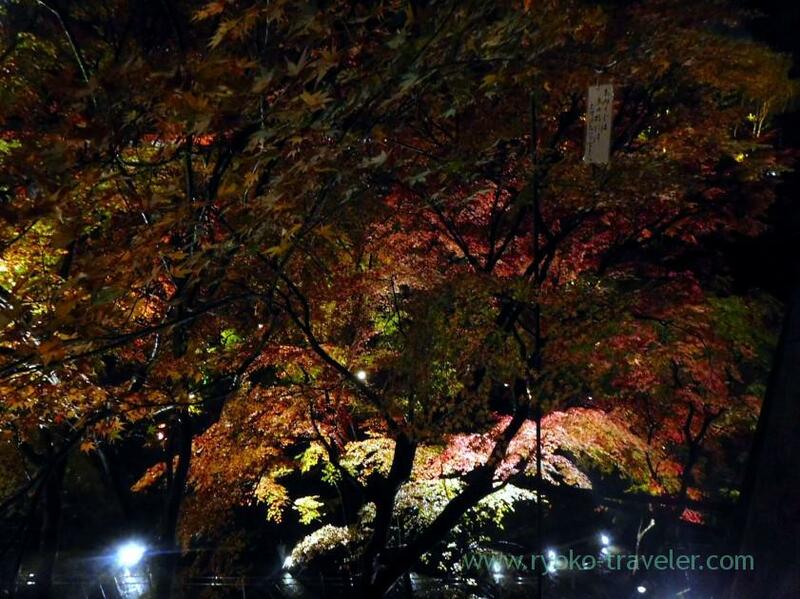 Strictly speaking, the best season of Autumn leaves was already past, still it was so beautiful because of the lights. 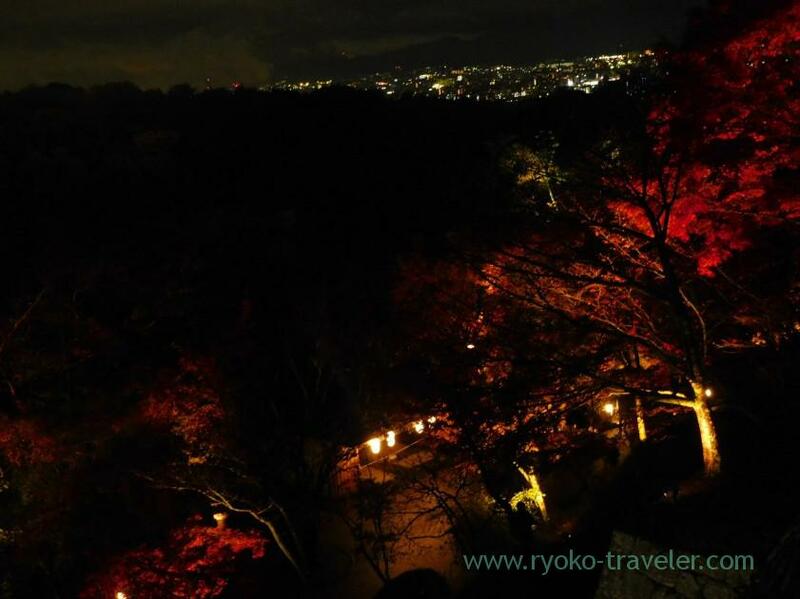 And view of Kiyomizu stage. We went toward the exit. 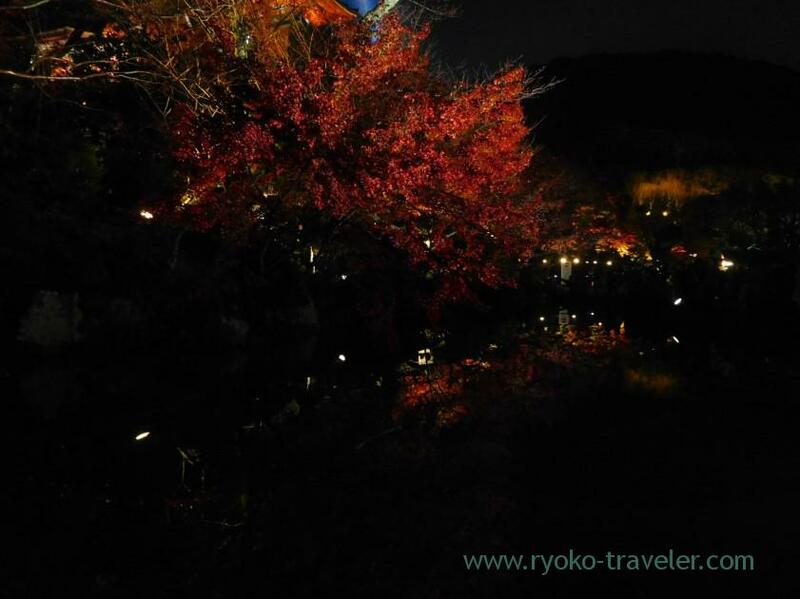 Autumn leaves reflected on the surface of water. 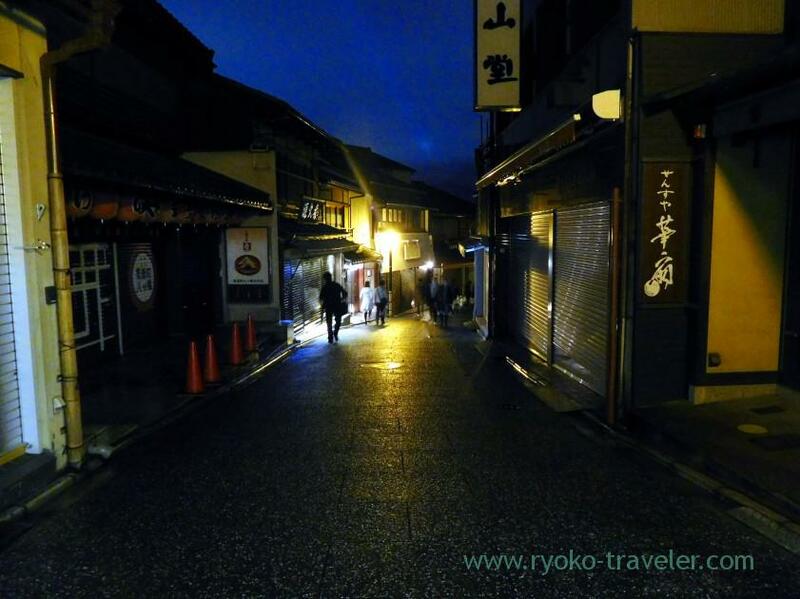 When I got out of the temple, it was past 9 p.m. and most of shops were already closed. So, it was calm. 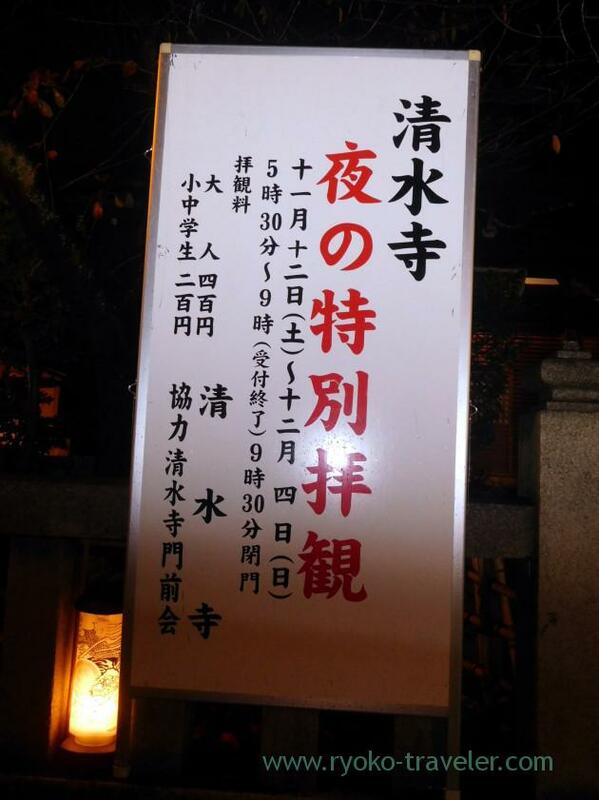 Admission fee / 400 yen for adults, 200 yen for under 15 years old.